Andrew Stewart, Art in the Hellenistic World: An Introduction. Cambridge: Cambridge University Press, 2014. Pp. xiv, 357. ISBN 9781107625921. $32.99 (pb). Interest in the Hellenistic world has accelerated in recent decades with notable contributions coming from G. Shipley's The Greek World after Alexander (2000) and G. Bugh (ed.) The Cambridge Companion to the Hellenistic World (2006). The study of Hellenistic art is no exception to this trend and important publications include Lucilla Burn's Hellenistic Art from Alexander to Augustus (2004) and Sheila Dillon's The Female Portrait Statue in the Greek World (2010). Andrew Stewart's book is a welcome addition to this list of absorbing studies. Stewart is well known for his perceptive writings on various topics in Greek art, of which his Classical Greece and the Birth of Western Art (2006) and the magisterial Greek Sculpture: an Exploration (1990) may be singled out—the latter, envisaged by his editors as a replacement for Gisela Richter's The Sculpture and Sculptors of the Greeks, soon morphed under Stewart's guidance into a wider study incorporating social and political contexts. What's more, he has already contributed significantly to Hellenistic studies, not least with his monograph on Attalos, Athens, and the Akropolis: The Pergamene 'Little Barbarians' and their Roman and Renaissance Legacy (2004). In the book under review he now tackles the multiplicity of form and function in Hellenistic art, attempting to compress the vastness of the topic into a single book. It's a tall order. The book is organized into an introductory section followed by twelve chapters divided into three groups of four. These three groups are linked by two "focuses" (shorter sections, one on the Great Altar of Pergamon, and the other on Hellenistic mosaics), each encapsulating the major threads of the preceding four chapters and pointing to the next four. The narrative judiciously mingles theme and chronology, each chapter organized around a theme reflecting an underlying interest of the Hellenistic age (e.g. victory, luxury), interests that appear in various guises in the art of the period. These themes identify themselves as salient elements in Hellenistic art by their frequency and predominance; their presence in Hellenistic minds and their cultural importance are underscored by their articulation in Hellenistic Greek (nike, tryphe). Two appendixes follow the chapters, the first discussing artists and critics, workshops, status, costs and wages, the second providing a translation of vivid passages of Kallixenos of Rhodes' On Alexandria, including the stunning description of Ptolemy Philadelphos' jaw- dropping Dionysiac procession, four-wheeled floats and all. A glossary, timeline, short biographies of significant individuals, and a bibliography round out the book. Throughout the book, Stewart's insistence on drawing in the literary counterparts to the art is refreshing and, in terms of Kulturgeschichte, essential. 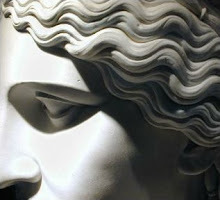 His interest in, knowledge of and affinity for sculpture is transparent. It's no surprise to find that elsewhere he pays homage to Bernard Ashmole. The Introduction begins with a bang, a brilliant description of the Tazza Farnese which both analyzes this exceptional layered sardonyx bowl, carved like a cameo, and offers an object lesson in how to report on and write about an art historical object. Scintillating in appearance, packed with personification and allusion, teasing in interpretation, typical of Hellenistic trends in so many ways, this object of luxury instantly catches the reader's eye. In a sense, it epitomizes much of what is to follow. This breathtaking object leads immediately, however, to a somewhat disjointed listing of some basic background topics: Alexander's life and death, the successor kingdoms and the ascendancy of Rome; the public, political, religious and personal purposes of art; the importance of context; a 15 item digest of observations on Hellenistic art; sources primary (archaeological and literary) and secondary. Text boxes look at (a) classicism and the baroque and (b) money. Maps are good, illustrations excellent, and as elsewhere in the book too, captions are extremely valuable, full of important information. The first group of four chapters addresses the themes of settlement, power, victory and benefaction. "Settlement" outlines the geographical range of Alexander's empire, its topographies and ethnicities mapping the variety of settlements in his successors' kingdoms: typically Greek, democratic Priene built on a hillside to a grid plan, geometry applied to geography; the Attalid citadel at Pergamon, planted on a beetling hilltop and framing stepped terraces, sanctuaries and palaces; coastal grid-planned and fortified Alexandria, home of the Ptolemies, city of luxury and the baroque, Hellenistic center of intellectual and artistic life par excellence; Antioch, Seleukos' capital city, largely lost beneath river silt but richly described in the ancient sources; and, among lesser settlements, the peripheral, mixo-barbarous, Iranian-Greek Ai Khanoum in Afghanistan. "Power" is manifest in palaces, conspicuous consumption, pageantry, processions and portraiture. On coins the new monarchs shamelessly appropriated the image of Alexander, portraying themselves as gods or heroes by their attributes, as seasoned despots or bright young things by their facial characteristics, while a new architecture for a new politics emphasized vastness of scale and exuberance of décor fit for kings. "Victory" is celebrated at various levels in various media. In battle and hunt scenes, processions and pageants, in painting and sculpture, in literary description and in mosaic: victory in war in the Boscoreale frescoes marking the Macedonian conquest of Asia, and most pointedly in the Alexander Mosaic; the hunt in Macedonian painting (Lefkadia) and mosaic (Pella); procession and pageant in Athenaios of Naukratis' Deipnosophistai (sometimes dubbed the "gastro pundits") quoting Kallixenos of Rhodes. The Nike of Samothrace proclaims victory, her theatrical setting, twisting body and swirling drapery exemplifying the baroque in Hellenistic sculpture; the small Gauls (Stewart prefers to call them Celts) too, a group of dead or dying warriors, marble versions of Hellenistic bronze originals dedicated on the Athenian acropolis, salute the victory of Athenians over Persians and Amazons, and that of Pergamon over Gauls, claiming thus the equivalence of Pergamon with Athens. "Benefaction" was the province of monarchs and the rich. Alexander dedicated the new temple of Athena at Priene, and his successors followed suit, securing loyalty and obligation by their generosity. Impoverished Athens fell into political insignificance in the new larger world, yet continued to enjoy cultural and intellectual prestige. Philosophers and logicians claiming descent from Socrates, Plato and Aristotle drew foreigners to the city, among them members of royal houses who knew how to show appreciation and win friends. Antiochos IV of Syria offered to complete the gigantic Temple of Zeus begun by the Peisistratids. Eumenes II of Pergamon built a stoa on the south slope of the Akropolis; his competitive brother Attalos II followed with a similar building in the Agora. The city responded with bronze statues, images of gratitude and flattery, honoring these and other benefactors. The city turned to wealthy local citizens to fund public festivals and public buildings, inescapable "liturgies" for which they too were rewarded with honorific statues. It's clear that the theme of benefaction is most explicit in the architecture and sculpture. A study of the Great Altar at Pergamon is the "focus" section at the end of the first four chapters, recapping and pulling together threads exemplifying each theme. Planted prominently in the ring of structures forming the citadel, a prominence accentuated by openness to the vertiginous landscape before it, the altar was an emblem of novelty and grandeur echoing the repurposed hilltop settlement itself, new planning for a new era. Dedicated by Eumenes II, it was likely a monument to victory and evidently a royal benefaction. The high-relief sculpture decorating the podium displayed the well-known Gigantomachy in baroque style, startling for the size and number of the figures, twisting and collapsing postures, over the top musculature, tortured expressions, unruly shocks of hair, intricate flapping drapery, and even quotations from the Parthenon. The style throughout is uniform, a remarkable achievement given that the sculptors were assembled from several workshops. This bravura display salutes the gods, corresponding in style and meaning with the dedication of the "small" Gauls, and identifying Pergamon (the new Athens) as the mainspring of a burgeoning new Hellenism. More relief sculpture decorates the interior of the colonnade framing the altar itself. Here time, mood and style contrast with the Gigantomachy—an episodic treatment of Telephos' life contrasting with the one-time frenzied battle, calm replacing violence, a more classical style preferred. The final eight chapters and a "focus section" follow the pattern of the first four, each theme examined for its appearance in art, each object or monument analyzed for its purpose, style, and social, political and religious context. The themes and some of their highlights are: "prowess" (heroes, athletes and the Laokoon group); "wisdom" (poets, philosophers, orators); "piety" (fading Olympians, popularity of Aphrodite and Asklepios, ruler cults); "desire" (the Aphrodite of Knidos and spinoffs, erotes and eroticism); "luxury" (festivals, palaces, jewelry, the Nile mosaic); "difference" (Persians, Gauls, the underclass, Romans); "death" (Vergina, Lefkadia, the Alexander sarcophagos, Nemrud Dag); "reception" (Greek anthology, women's voices, art criticism, Pliny, Quintilian). At the outset Stewart faced the question of whether to take a thematic or a chronological approach. Given the quantity and variety of the material, each presented difficulties: a more comprehensive chronological/geographical survey would result in an immense, costly and unwieldy book, while a more confined but more searching analysis of socially and politically based themes would run the risk of omissions. As we've seen, he plumps for a thematic treatment, the brevity and novelty of which have obvious appeal. Alert to the problem of possible omissions, he touches on areas he's paid less attention to than he might have wished – e.g. Rome, Etruria, India. These do not however receive significant treatment, though more than some other areas, e.g. Bulgaria, or Dura Europos, of which there is no mention. Though titled "An Introduction", the book is far more than that. To be sure, it introduces the reader to Hellenistic art; but the reader without knowledge of the background would be hard put to profit fully from it. In a sense the author recognizes the problem in his discussion, for example, of Hellenistic Aphrodites, in which for obvious reasons he has to bring in Praxiteles' mid-fourth-century Aphrodite of Knidos, the precursor to them all. His extensive treatment and sensitive interpretation of the Knidia is worth reading for its own sake as well as for his demonstration of her influence on what was to come, but the Knidia makes the point that knowledge of the classical is a prerequisite to full appreciation of the book. So this book is not an introduction for beginners; it is rather a distillation of Hellenistic art for the more advanced student.